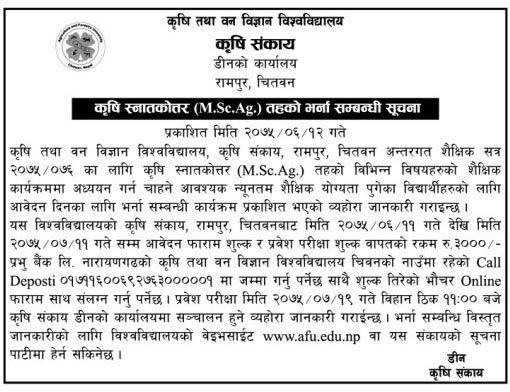 Agriculture and Forestry University Rampur Chitwan published the notice about admission open on M. Sc. Ag. for academic year 2075/76. The entrance exam will be held on 2075/07/19. Check complete M. Sc. Ag. Admission Open Notice below.